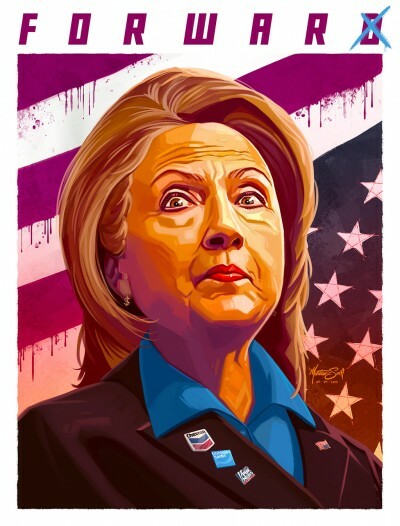 Anointing her by electoral rigging to lead one wing of America’s duopoly system reveals the deplorable state of the nation – tyranny posing as democracy. A new low in presidential politics was reached with a candidate representing Washington’s lunatic fringe, a neocon war goddess drooling for endless conflicts. If elected, Hillary risks committing greater high crimes of state than her predecessors, including possible nuclear war – why it’s crucial to defeat her in November. Humanity’s fate hangs in the balance. Her Thursday night acceptance speech was what you’d expect – featuring rambling lofty rhetoric, dreary and dull pontificating, empty promises, an unprincipled display of dishonesty. Claiming “economic and social justice issues (are) front and center where they belong” on her agenda belies her record as a corrupt lawyer, first lady, US senator, secretary of state and influence-peddler to the highest bidders through the Clinton Foundation, for self-aggrandizement and wealth enrichment. Hillary represents a new low in US politics, featuring unrestrained imperial lawlessness, endless wars of aggression, risking WW III by confronting nonexistent Sino/Russian threats, serving monied and warmongering interests exclusively, along with ignoring the welfare and concerns of ordinary people. Defeating her presidential ambitions tops all other priorities for people everywhere.